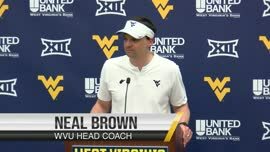 MORGANTOWN, W.Va. — Donning a USS West Virginia hat handed to him by a military veteran after Saturday’s upset of Kansas, Bob Huggins suddenly looked like a confident commander and not the coach of a sinking ship. 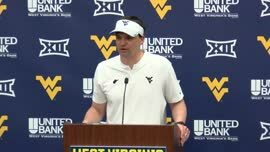 West Virginia, which had dropped four of five games to tumble out of NCAA consideration, closed the regular season with a dose of adrenaline by knocking off the No. 8 Jayhawks 92-86. While the victory earned Huggins a $25,000 bonus, he joked that taxes could reduce that to only $10,000. More than incentive clauses, however, Huggins was interested in the payoff that could await his team when the conference tournament opens Wednesday in Kansas City. Currently, West Virginia projects as an NIT team. But by finishing .500 in the nation’s toughest league and matching Baylor for sixth place, the Mountaineers (17-14, 9-9) could catch the selection committee’s focus by winning games against a resume-boosting obstacle course next week. While West Virginia earned a first-round bye, it’s quarterfinal opponent on Thursday night will be third-seeded Texas, which dominated both regular-season meetings. That game’s survivor likely would play the Oklahoma-Baylor winner in the semifinals. Ignore the grousing about West Virginia’s slow-down tactic contributing to the Kansas comeback. 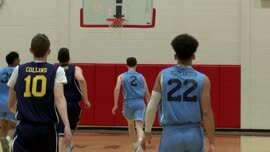 Huggins’ decision around the 12-minute mark to take the air out of a few possessions was crucial after Remi Dibo, Nate Adrian and Juwan Staten encountered foul trouble. Sure, WVU sacrificed some momentum and aggression by eating clock, but a Kansas charge was inevitable—as was WVU cooling off. After trailing by 25 points, the Jayhawks switched into desperation mode by deploying its halfcourt trap, all in an effort to speed up the pace and create extra possessions. Huggins countered by essentially shortening the game, while leaving the ball in Staten’s hands. That proved valuable once Kansas really heated up late. By the time the Jayhawks made it a two-possession deficit, less than a minute remained. 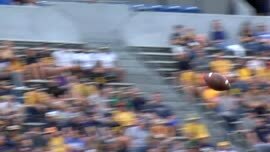 Had that occurred around the 2-minute mark, who knows how WVU might have coped with the pressure. I agree with jwg66, I felt Huggs started the slow down just a little too soon. I thought we came out in the second half and continued pushing them back on their heels. Bad things started to happen when we slowed down to eat the clock and I am just not comfortable with Hugg's inbound schemes…other teams seem to be able to overcome them after the first or second inbound play. At least we had a good lead and fought them off on several occasions and outlasted them for a great win. Re-read your posts and see if you don't laugh outloud. Here are two guys that most likely have never coached basketball criticizing the game management of a guy with 739 collegiate D1 wins and a certain Hall of Famer. I'm sure Huggs would be more than happy if you could school him on his limited inbound play selection. Beside the technical, which I missed, what was the deal with Kevin's jersey? He had a cut on his back and the ref saw blood soaking through. He tried to change jerseys, but it soaked through again so he left the game to get the cut taken care of. Oh William, where are you William? All the Marshall trolls are mad about WVU's win over Kansas! Very good, outstanding, all around performance. WVU played one of the best games all year, balance at all points. 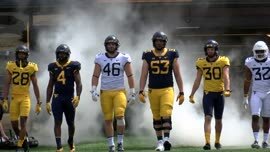 I think that is the way Huggs pictured those guys playing when he recruited them. The problem is this year they have not been consistent but they will learn from this year for sure. How about Williams? I thought his performance set the pace for us. Outstanding, By the time he is a senior hey could be the dominating big man in the conference ......Great win. What was the technical foul about? I must admit, I was concerned we stopped attacking to soon. Their pressure nearly worked. But some good free throw shooting at the end preserved a great W. I really enjoyed Williams and Staten today. Whole tem played with energy but their performances were special. What ever happens in the B12 tourney, this team has a big upside! Go Mountaineers! congrats coach,we really needed this. Good News: WVU has the six seed and a bye. Bad News: We play Texas. They don't matchup at all with Texas. NIT here we come! Hope you're right Leroy, but theres gonna be alot of good teams in the NIT. Either way I'm glad we're in the post season. Go Mountaineers !